stunning Lucaya beach on Grand Bahama island. 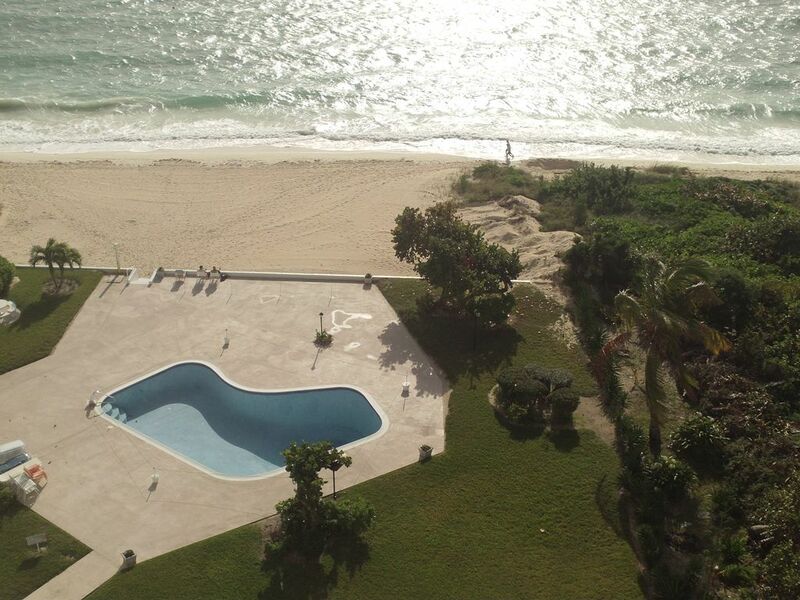 The apartment is located only 50 miles from the state of Florida, on the south shore of Grand Bahama Island. with shower and bathtub as well as a fully equipped kitchen with refrigerator, stove, oven and all utensils. The living room and dining area have tropical bamboo furniture, and ceramic tile floors. activities which are only minutes away. restaurants, bars, cafés, jewelry stores, arts & crafts and Straw Markets. Our island home offers a relaxing atmosphere where you can make yourself at home on one of the finest beaches in the Bahamas,all you need for a perfect short term or long term stay. The management and owners shall not be liable for any personal loss or injury or damage to person or personal property in or about the premises. Rental of any unit means renter has read and agreed to terms, conditions and restrictions listed on the website. horseback ride,scuba dive,golfing,take a jeep or kayak tour,a boat ride on the glass bottom boat to see the underwater garden of the reefs. Shopping for souveniers,duty free items, jewellery,clothing and perfume. and enjoy lunch or dinner at the Garden Café and Bar. Laundry facilities are on-site and shared. Tokens are used to operate machines and are available at a nominal fee. No children under 12 are allowed in the rental party. The Bahamian people are so friendly. This was a great contributing factor in us purchasing a vacation home in the Bahamas ! The beach is by far the best beach we have visited in the whole world ! Gorgeous beachfront condo, very nice people at the condo, and the beach was just stunning. Lovely condo with ocean views and a beautiful ocean breeze. This is a beautifully decorated,very clean & comfortable condo. It is even prettier than the photos! Well equipped and maintained. The owner always responded quickly to any inquiries. It was wonderful to spend the week here and there was plenty of room for us.We would definitely recommend this condo to future visitors. Thank you for providing us with a gorgeous place to stay.A very lovely relaxing vacation, will definitely return to this paradise! Thank you for your response. Jules you are an excellent guest and now a valued friend. We have had hundreds of satisfied guests share our beautiful island and home. You are welcome anytime. Thank you so much. You are a wonderful guest. We had a great time staying at the Riviera Villas. The manager was very personable and helpful about where things are on the island, local events, etc. We didn't mind that we weren't on the beach because it took 3 seconds to walk there. It's closer to the quieter end of the beach, which we really liked. The condo is also very close to town. We did not rent a car since we were only there for 5 days and planned on staying in the area. It's a great walk along the beach to the Lucaya Market (also safe at night but watch out for the rising tide!) The condo itself was clean, quiet and comfortable. Wifi is available which is really nice for looking things up (although they do provide a map). The owner was very helpful as well and prompt with her email responses and following up. There are a couple of things that I would say were less than favorable. We were told we may have to buy paper products for the condo (as in TP and what-have-you). We didn't have to since there were two rolls, but I wasn't thrilled about the idea that I would have to stock the condo with essentials like that. I'm not sure if it would have even been feasible that first day - that would have been VERY inconvenient. There also wasn't any dish soap. There was a bottle under the sink of very watered down soap - someone was clearly trying to make it stretch. Again, I just feel that things like that should be provided. Great place to stay overall and would highly recommend for a beautiful relaxing vacation. I hope you had a great time in the Bahamas and had a relaxing time. Thank you for the review. We try to make our vacation home comfortable for our guests when we are not there. The apartment always has basic supplies, and the manager also has supplies in the office. Riviera villas stay was perfect. Right at a beautiful beach 30 seconds to a white sandy beach with a beach bar and food service.The 2 bedroom condo is spacious and has everything you need for your stay. Thanks so much for visiting our vacation home. We love to share the beautiful Bahamas with fellow travellers. My wife and I took some time off over the recent Xmas holiday to travel to the Grand Bahamas and stayed at this condo. While there was no ocean view it did not diminish the experience at all. The beach is just a short walk along a path between two condo/hotel facilities. The hotel on the beach provided for a bar and food service just steps off the beach. The beach itself was absolutely beautiful and this from someone who has experienced many beaches around the world. Restaurants were abundant at Lucaya Market and surprisingly, while food from the local grocery stores was expensive, the restaurants were not. The restaurants served a great variety and we did not experience a bad meal the entire week we were there. Lots do....horseback riding, bonefishing, snorkeling, etc. Time unfortunately flew by. All in all a great place to vacation and the condo was a perfect place to stay. We did rent a car and never felt uncomfortable or threatened wherever we traveled on the island. The people were extremely friendly and the vendors in the markets were all very polite. got to stay a week at the riviera villas it was perfect ,great location.close to lucaya market,30 seconds to a white sandy beach with a beach bar and food service.if u just want a place to relax it was perfect ,rented a car to see the island.the condo has everything you need for your stay.have told many people about where i stayed since returning back to canada. very friendly community with many activities- get togethers, weekend live music at the beach bar next door , fish frys etc. Riviera Towers high rise 1-2 people per night - $ 110-120 one week - $800-900 $2400-2700 4 weeks high rise resort fee $7.00- $10.00 per day Maid fee $100 Management or owner shall not be liable to tenant for any personal loss, injury or damage to person or property in or about the premises by or from any cause and not responsible for any inconveniences that may occur for which they have no control. This includes, but is not limited to: power outages, adverse weather conditions, mandatory evacuation, construction,mechanical failure such as television, etc. No refunds will be given for occurrences beyond the owner’s control. No pets of any type shall be permitted by tenant or his guests within the premise.No smoking inside the premises.Please report any damages upon check-in.Rental of any unit means tenant has agreed to these terms, conditions,and restrictions.50% Deposit required to reserve. deposit is non-refundable.Rates subject to change prior confirmation.